These parasites need a visit from their friendly neighborhood ICE squad for a ride back to wherever they came from. 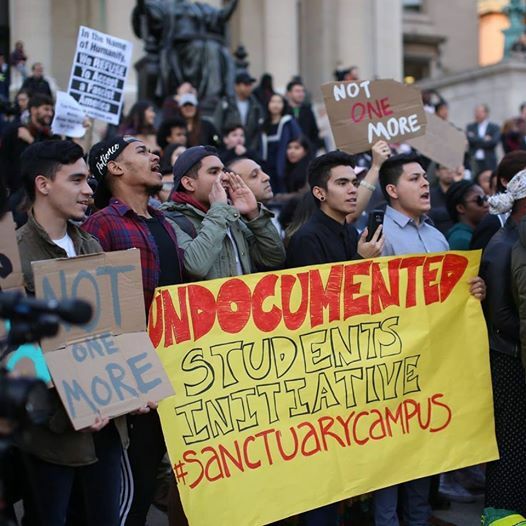 A group of illegal immigrants at Columbia University is demanding that school officials give them free health care. The illegal immigrants also want the Ivy League school to institute compulsory “sensitivity training” for professors and administrators. The illegal immigrant group, called Undocumented Students Initiative (UndoCU for short), presented its list of 13 demands on Facebook last week. Among its 13 demands, the group calls for “full reimbursement” of health insurance fees for students who are illegal immigrants. Currently, Columbia only reimburses illegal immigrant students for “portions of these fees,” the document says. As Campus Reform notes, Columbia — like virtually every other college in the United States — requires enrolled students to maintain health insurance. Columbia students who are not sufficiently insured by their families must pay up to $3,000 each year in health insurance fees. A single year of tuition, fees and room and board at Columbia costs $68,300. However, students whose families have total incomes of less than $60,000 typically attend the Ivy League bastion for free — with zero loans for parents or students. The illegal immigrants at Columbia say they are unsatisfied with the school’s generous financial aid.